I seriously can't believe our little guy is already 4 months old! He is growing up so quickly and his personality is really starting to shine. Parker loves to smile and laugh at Lucy and Daddy! He also has weirdly strong legs which he enjoys standing on with little support and loves to jump in Daddy's lap. I love watching him with Lucy and I'm a total puddle when I see her taking care of her baby dolls and stuffed animals, copying the things I do with Parker. Her current favorite is grabbing a blankie to swaddle and put baby in the swing. It is the most precious thing I have ever seen. I want to stop these moments and live in them forever. I feel like the time flies by so much quicker with 2 kids. I find myself forgetting to fill out the baby book, scheduling doctor's appointments way late, and just can't find the energy to stage a perfectly posed and Pinterest-worthy monthly photo. Now I can celebrate and capture moments easily, with Milestone Original Baby Cards from Milestone Baby. Each photo card depicts a distinct milestone in baby's growth, from one week to one year and lots of fun steps in between, including "first tooth" and a blank card perfect for customization. 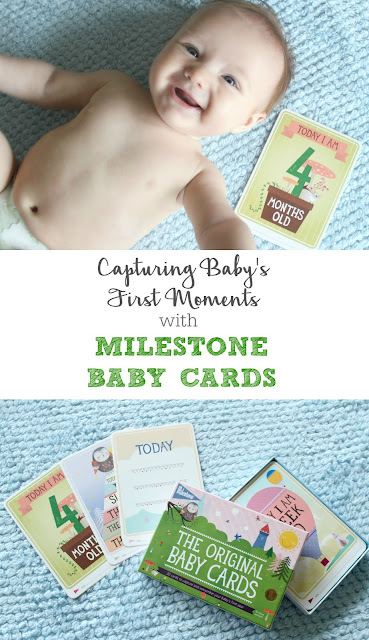 Milestone Original Baby Cards make remembering these moments of Parker's first year so much sweeter. I may even frame one in his nursery! 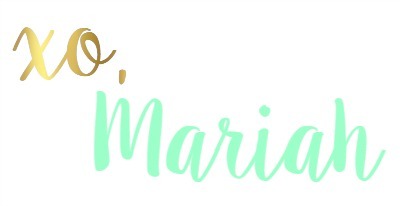 You can try out Milestone Cards for yourself with a FREE PRINTABLE! They have a "First Day of School" card that's perfect for back to school! How do you capture these sweet baby moments?